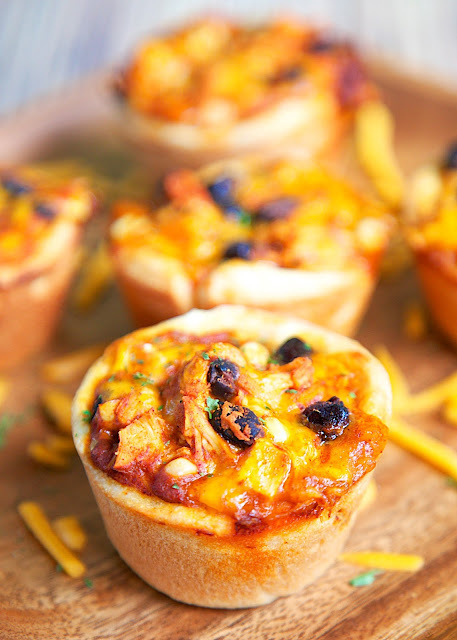 Chicken Enchilada Cupcakes Recipe - chicken, enchilada sauce, black beans, corn and cheddar cheese baked in pizza crust in a muffin pan - SO good. Can freeze leftovers. Great for a party, lunch or dinner. Serve with a side of rice and guacamole for an easy weeknight fiesta. 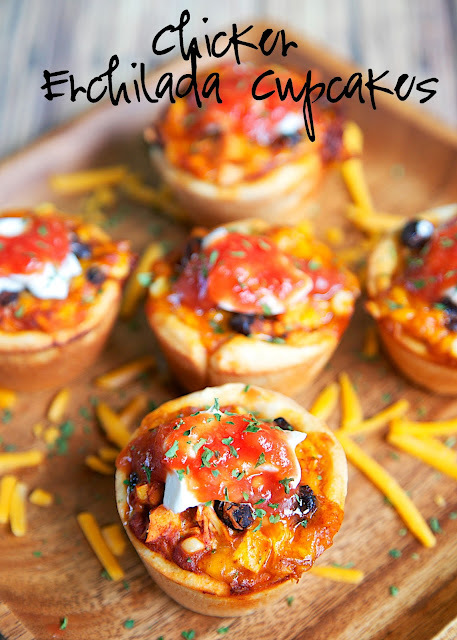 These Chicken Enchilada Cupcakes are great for lunch, dinner or even a party! Football season is right around the corner! These would be great for watching all the games! 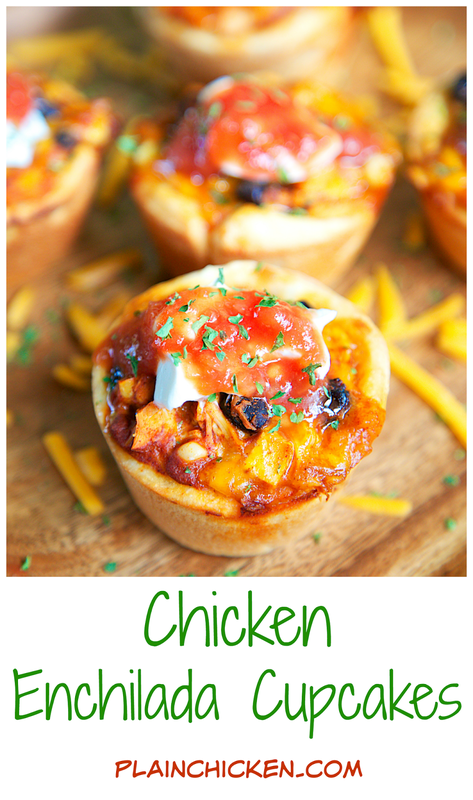 We ate these yummy Chicken Enchilada Cupcakes for dinner with some taco rice and a guacamole salad. They were so good. I heated up a couple for lunch the next day and they were great! If you want to cut down on the prep time, use rotisserie chicken for the cooked chicken. We always have rotisserie chicken in the freezer for quick meals. It really makes dinner a breeze! Preheat oven to 375ºF. Spray 12 regular size muffin cups with cooking spray. Set aside. Combine cooked chicken, enchilada sauce, black beans, corn and cheese. Divide evenly between the muffin pan cups. 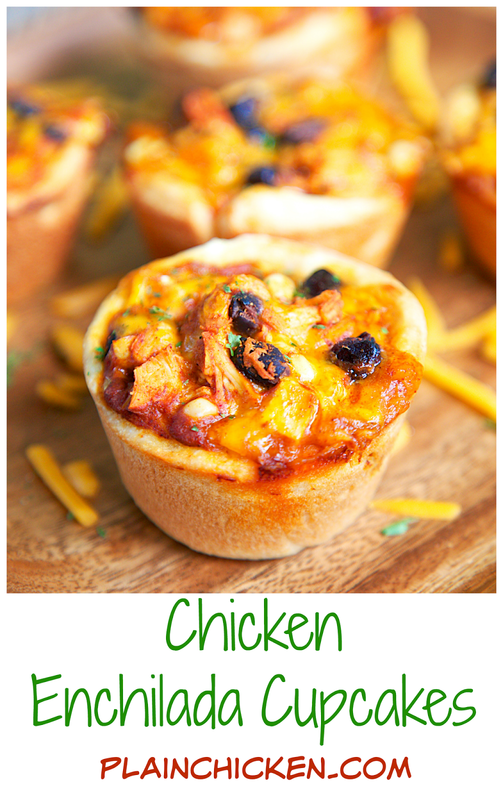 Cupcake usually doesn't come to mind when you think chicken enchilada, but this looks great. I like that it quick and easy.